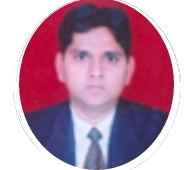 Dr. Neeraj Atray is a Senior Scientist in Chemical Conversion Area (BFD) in CSIR - Indian Institute of Petroleum, Dehradun. His acheivements are • Developed a process for biodiesel production using a heterogeneous catalyst for low cost feed stocks • Developed a two stage process for biodiesel production using low cost high FFA oils • Developed a process for biodiesel production using pretreated non-conventional raw materials • Developed a process for biodiesel production at ambient condition • Developed Quantitative method for HPLC analysis of Biodiesel from different vegetable oil like Jatropha, coconut etc. • Development of Certified Reference Materials (CRMs) in Petrochemical area.